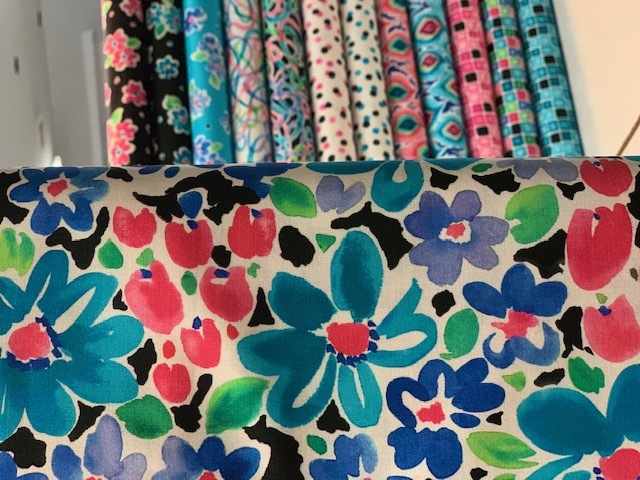 Delilah is a new fabric collection from Quilting Treasures. I love the bright, fun colors! So vibrant and perfect for the Spring & Summer months. Use these colorful patterns for quilts, knotted blankets for a summer picnic, or pillow covers when you want a little bit of pop to a room. Now let's take a look at these fabrics a little bit closer. The collection has a variety of geometric boxes, feathers, dots, squiggles, and flowers. Another cool thing with this collection line is that we have a Digital Quilt Top* in this design! You heard that right, #digitalquilttop which means it's a quilt top already pieced, by the computer! It looks like this below! 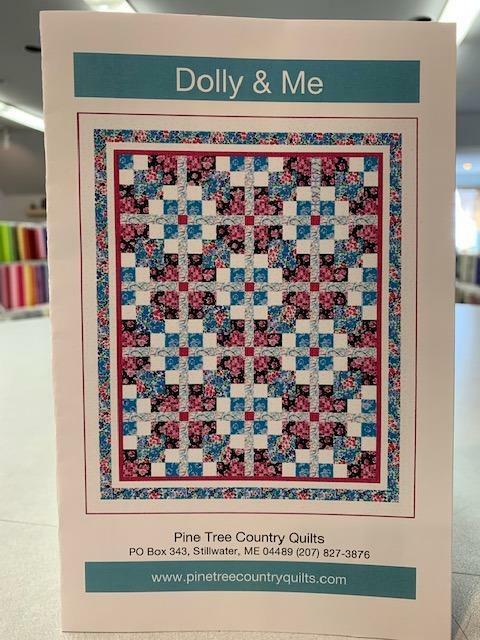 If you're still a fan of the traditional piecing, that's awesome because we also have these "Dolly & Me" quilt patterns* available. This idea is adorable! How about make this project with your daughter or granddaughter? You can teach her the joys of sewing and quilting, and she can follow along and make a small quilt for her doll. The doll quilt is more simple than the quilt pictured above. Take a look at the product online here to see what the Dolly quilt looks like. 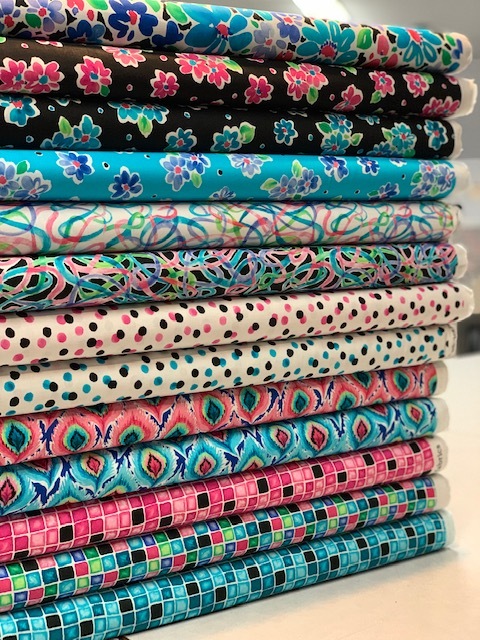 Thanks for reading along, I hope you enjoyed taking a look at the Delilah collection by Quilting Treasures. Any questions, feel free to comment below!